Operations are a fundamental element of successful business – the aspects of your business that keep it running. A thorough operation plan includes details about your product requirements, like custom packaging. It discusses manufacturing providers and distribution channels. The plan also includes information about laborers, as they too are important parts of your operations. If you would like to know more about compiling an operation plan for your business, follow the steps listed in this post. Here is a guide on how to write an operation plan. You may be wondering, “what is the purpose of an operational plan?” If so, it is important to understand this before learning how to create an operational plan just because you heard you should. An operational plan and a strategic plan are two different things, which many business owners get confused about. A operation plan is a general overview of organization management according to stakeholder goals and priorities. These operation plans include detailed information regarding day to day responsibilities and tasks associated with running the business. These plans include information on the what, who, when and how much that affect management. They help to protect your business from becoming a victim of the infamous fraud triangle. Keep reading to learn how to create this document that is crucial to daily business functioning. An operation plan begins with identifying each member of your staff. It clarifies roles and explains how each individual contributes to daily operations of the business. For instance, descriptions for those involved in inventory are important. They are responsible for keeping track of your goods. It is important to clarify a manager’s role, as well. Managers are in charge of ensuring that other staff members perform their assigned tasks adequately. This is also true of outsourced management, like a business advisors role. Defining employee responsibilities is an important beginning step to writing an operation plan. The location section of an operation plan includes several facets. First, it provides information about the whereabouts of your business. This includes physical addresses for each of your branches or stores. The location section also details manufacturer locations. Having this information is important. It allows shareholders to determine your selling potential. Knowing the location of manufacturers also gives them an idea of how key components are distributed. Always include details about your location when writing an operation plan. Describing your manufacturers is paramount to writing an effective operation plan. This legitimizes your operation by identifying your supply chain management plans. It also provides an overview of expenses. There are a few steps you must take to write the manufacturing section of an operation plan. First, you should detail the agreements you have with your suppliers. This gives readers an idea of your daily expenditures. Second, you need to identify all of your manufacturers. Getting components from reputable sources gives your operation an air of reliability. Include these details. This is a vital portion of your operation plan. An operation plan ends with a clear declaration of your business goals. This is accomplished by incorporating other parts of your operation plan. If you state a specific goal, you need to describe how each employee contributes to that goal. You should also explain how your location is advantageous in achieving your goal. Finally, you need to describe how your supplier agreements put you in favorable situations with your finances. All of the details given in earlier sections of your operation plan merge to provide an explanation of your business strategy. Include your objectives as a conclusion, and you will have written a thorough operation plan. 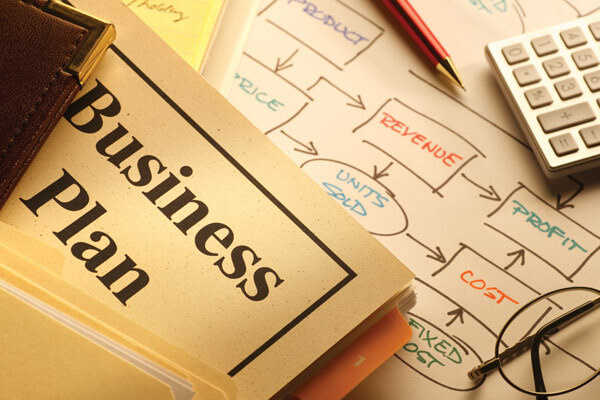 Operation sections of business plans provide important details about your daily activities, whether you own a SaaS business or an autobody shop. It describes the roles of your staff members and explains how they contribute to your business. These plans also include information about your location and manufacturers. People who read your operation plan, like shareholders and investors, want to know that you have a reliable system in place for your business. Following the steps in this post will arm you with the knowledge necessary to write an effective operation plan.